In the vineyard we have matched rootstocks and clones to the wide variety of soils to capture the best possible expressions of Pinot Noir from our vineyard site. 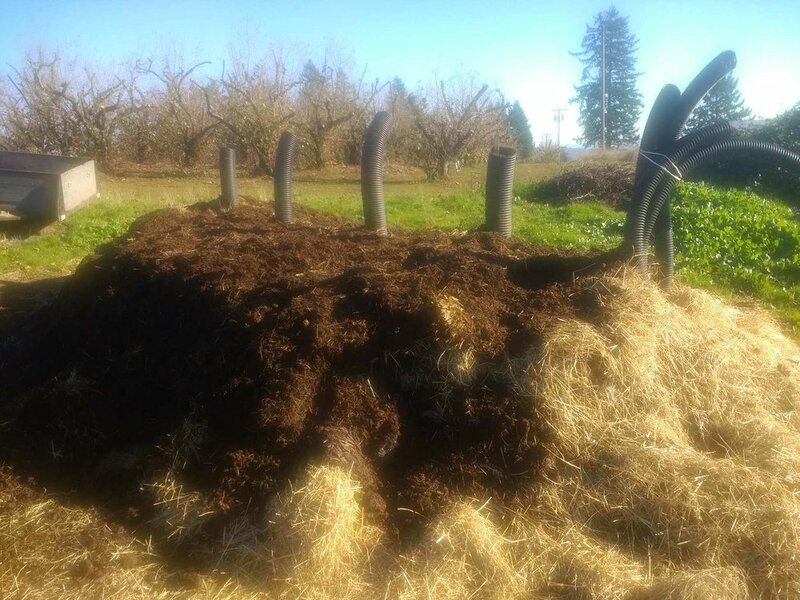 We have 11 blocks of Pinot Noir, our clones are a mix of the best clones from Oregon's Pinot plantings (Pommard), the Dijon clones imported form Burgundy (667, 777) and more rare Heirloom/Heritage clones such as "Holstein" and Vosne Romanee (clone 122). Cramoisi Vineyard sits perfectly between 500-600 feet of elevation in the middle of the slope where you would typically find a Grand Cru. Vineyard Stewards pruning 11000 vines. Carefully leaving two canes (arms) on the ones were the trunk is big and strong and leaving one cane (arm) on the vines were the trunk still need to grow to produce higher quality grapes and make them focused on growing the trunk.